Stop by and visit our showroom any time during business hours. service representatives are available to discuss all of your questions in person. 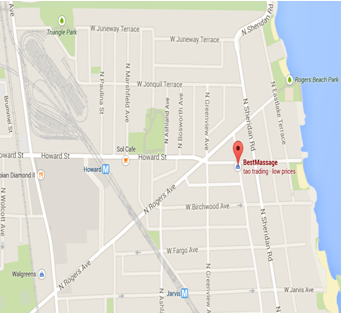 Address: 1419 W. Howard St. Chicago IL, 60626.
have opted out of an expensive "800" number. and we will return your call immediately. Send us a message right now via our online contact form below. Please be sure to double check the e-mail address and/or phone number you submit. If inaccurate, we will have no way of replying to your message. BestMassage.com is expanding, and we are looking for more sales representatives nationwide. Interested candidates are encouraged to contact us via the contact form below. Please subscribe me to your FREE newsletter.